Fairy tales do exist. 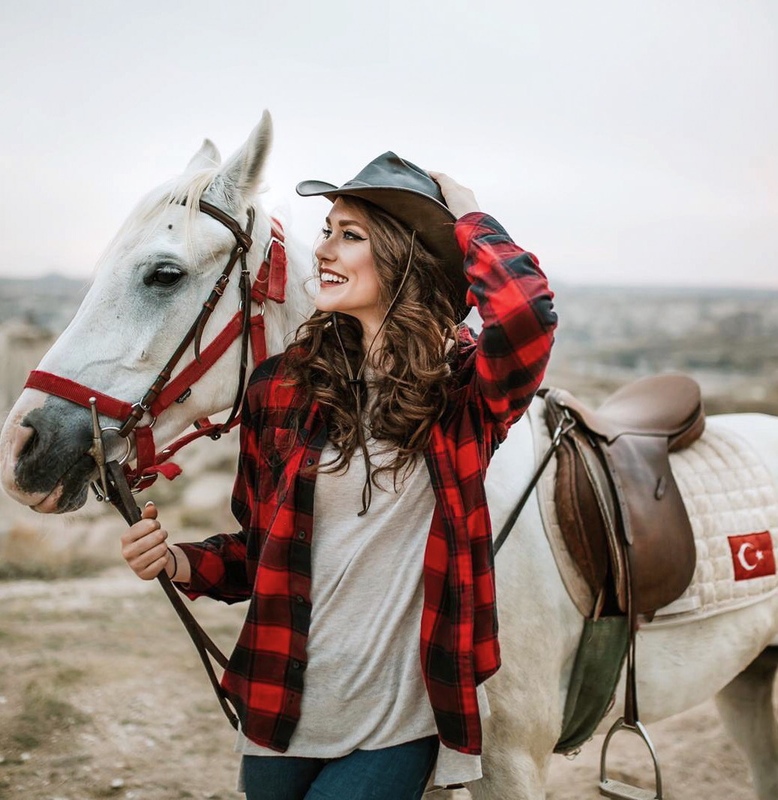 The winding valleys, whimsical caves and majestic trails of Cappadocia, Turkey are living proof. A few years ago, I wouldn’t have been able to tell you where this place was on a map, now it’s one of my favourite destinations. As much as I’d like to say that I found this little paradise on my own, I have to credit Instagram and the “social media influencers” of the day for the recommendation. If you’ve heard of this place before too, it’s probably because of the same reason. 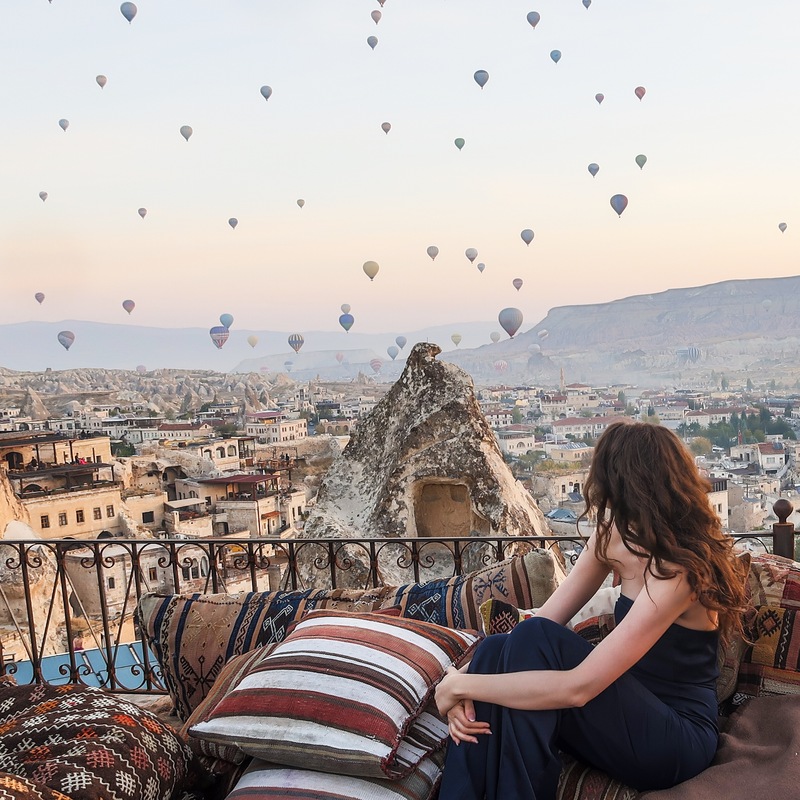 Ask any local, and they will agree- if it wasn’t for social media, many of businesses in Cappadocia wouldn’t exist. Several have turned to the online world to promote their establishments, encouraging patrons to leave reviews on websites like TripAdvisor and to share their photos and videos from their experience on various mobile applications. They’re smart to be doing so too. Since 2009, social media and the millennial generation has had a significant impact on the travel and tourism industry. So much so, that the industry as a whole has been re-evaluated. Instead of breaking down customer profiles into your typical ‘holidaymakers’ and ‘business travellers’ categories, the industry has been split into six new divisions known as ‘traveler tribes’ (based on research conducted by Amadeus). These are: obligation meeters, simplicity searchers, ethical travellers, reward hunters, cultural purists, and social capital seekers (or social media superstars). Focus has now shifted from grouping similarities by means of age and interests, to looking further into shared values and attitudes. This is a direct result of our changing habits. My generation, for example, is more likely to be impacted by a photo someone relatable posts online, than a large advertisement shared on the same platform by a large corporation. I mention this because when I was planning my trip in October, I visited a few Instagram profiles before making any bookings. There are tons of cave hotels to choose from in Cappadocia, but it was the images I saw online that helped me to decide as well as a few words from some friends. While all of the cave hotels were relatively appealing, KozaCave was the one my friend and I chose to go with. It has the highest terrace in the area that makes for the best possible view of Cappadocia. As gorgeous as this town is, ballooning is one of the main reasons tourist flock to the area. It began around 1997, but really took off in the late 00’s when social media started to develop. Due to its growing popularity, reservations need to be made well in advance. My friend and I learned the hard way when we tried to make a reservation the day before we arrived. Fortunately for us, we were able to get a hold of Voyager Balloons. They happened to have a cancellation and happily took us on their comfort tour on our first day there! For nervous flyers- the Ministry of Transportation, Directorate-General of Civil Aviation dictates the ballooning regulations in the region. In other words, they are responsible for determining how fast and how high balloons can travel, as well as how many people are permitted to ride in a basket at once. Companies are prohibited from carrying over 20 passengers at a time and must be licensed to fly. Many operators still get away with carrying more people than they should, so please do your research and familiarize yourself with the laws a little bit before making a booking! According to our pilot Mehmet, 150 balloons carrying 2000 people go up nearly every single day. This, of course, depends on the weather conditions. The elements play a key factor in the decision to launch each morning and we were very lucky to see balloons all three days that we were there! To get to the launch site, we were picked up from our hotel at 5:25 a.m. via a Voyager Balloon shuttle. We were then taken to the office for registration and breakfast. From there we took another shuttle to our balloon, and by 6:30 a.m., we were up in the air! As we were ascending, I had one of those nostalgic ‘I can’t believe I’m here moments’. From the the sounds of the balloon rising, to the cool air blowing against your face, to the butterflies you get in your stomach as you go higher and higher; it was a dream come true! Our ride lasted about one hour, and we were back at our hotel by 9 a.m. The remainder of our morning was spent resting, but me being me, I couldn’t just stay in bed! At 1 p.m. we went for lunch and purchased some souvenirs along the way. Everything here was quite affordable, with magnets starting at 3 Turkish Lira. (1 dirham or less than $1 US). The food was amazing too! The pottery kebab really got me, and I ended up having three during our stay! Afterwards, I booked an ATV tour and ended up visiting Love Valley, as well as the Rose valley. Both are popular tourist spots, but they look the best in the early morning when the balloons fly over them. The following day we had yet another early morning. I met up with photographer Kursat— who took us to the balloon launch site to capture some photos. From the launch site, we moved onto Pasabaglari, the Rose Valley, the Love Valley and the Instagram famous carpet store, Galerie Ikman. Afterwards, I caught a quick nap before meeting Kursat again for a sunset horse ridding session through the Red Valley with Redkit’s Horse Ranch. It was another crazy adventure that I will never forget! Our final morning was spent watching the balloons from the terrace atop of our hotel. Just like the Instagram photos we saw, everything was as expected. 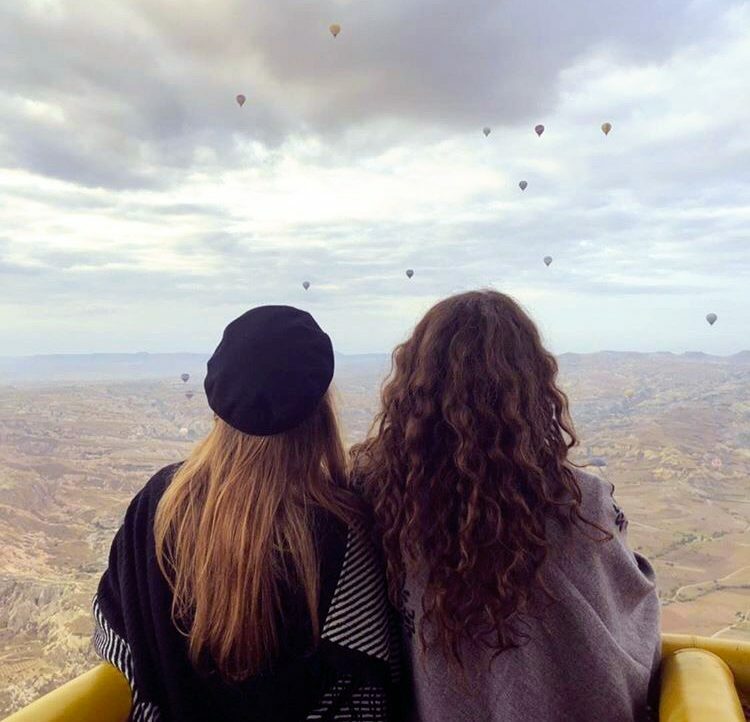 A spectacular view, delicious breakfast, and a comfortable place to watch the balloons rise. Three days may seem like a fair amount of time here, but everything about this place made me want to stay longer. The people, the food, the colder weather, the activities we were able to do… it all made for an amazing vacation. If you go, my advice is to plan your itinerary at least a month in advance. Activities such as horse ridding at this time of year were all able to be booked on the day, but we got lucky when it came to the balloon ride. Cave hotels are very popular, and don’t have many rooms available either. We were lucky to get one with KozaCave at the last minute through booking.com, but I can’t promise that you’ll be as lucky as us! I also recommend having someone local take you around the area. I’m the worst when it comes to planning, so it was nice to have someone take control and show us where the best places are. 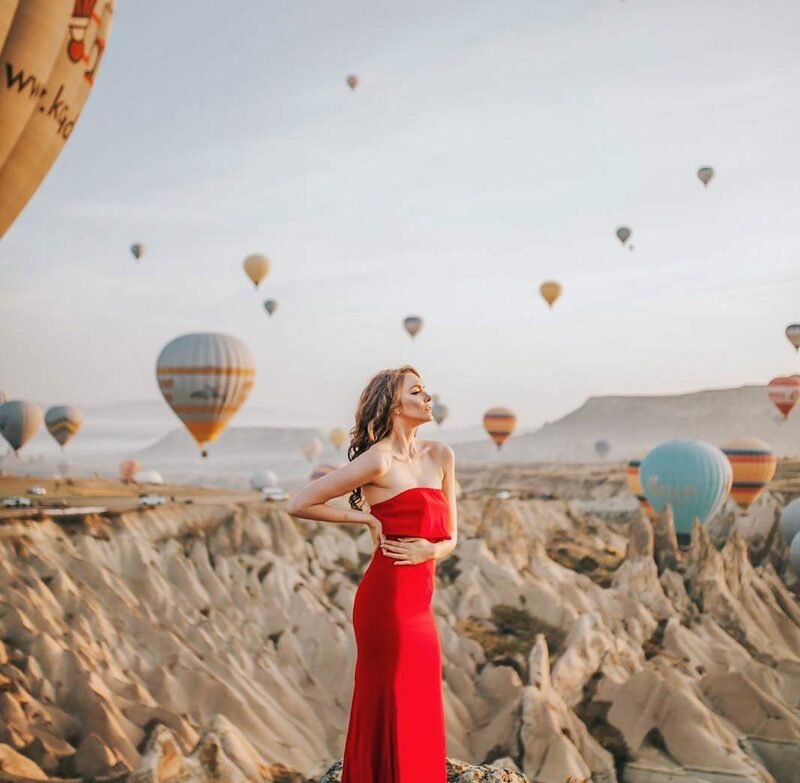 Whether you’re looking for an adventure, a quiet solo trip, or a romantic getaway, Cappadoccia, Turkey is the best place to visit! I hope I’ll get the chance to go back one day. I had disabled it for awhile to take a break. It’s up and running again now. Hi. Love your posts. Can I ask what you take your photos on m? They are amazing. To take photos for my blog and Instagram channels, I use my Iphone 7, GoPro Hero 5 and/or Canon Powershot G7x Mark 2 (a typical “blogger” camera). My friend Chandee (who took the photos of me in this post) uses a Canon DSLR. I’m not sure exactly what make and model though. If you’re looking to take similar photos, I promise you don’t need much! I edit a lot of my images in Adobe Lightroom CC. It helps a lot!